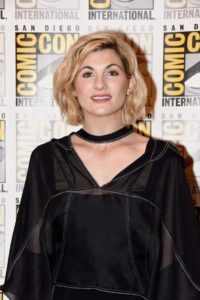 Jodie Whittaker’s Doctor Who SDCC Debut! 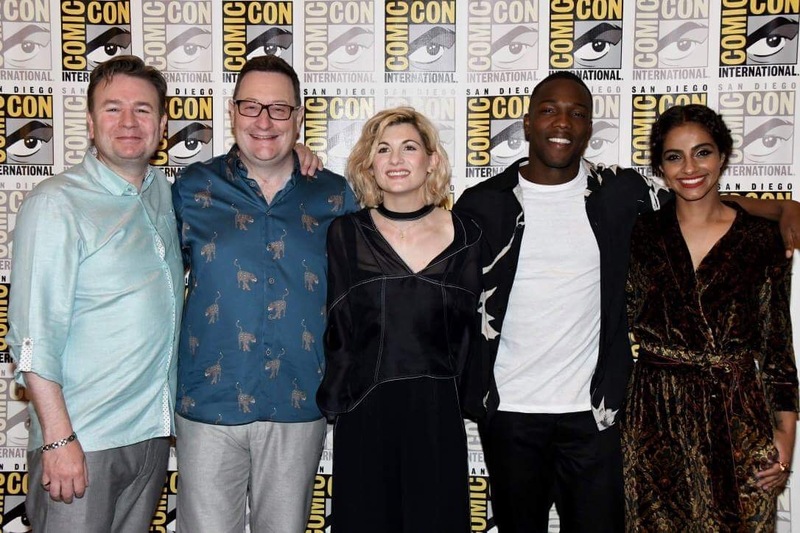 San Diego Comic-Con 2018 was a wild ride, but one of the biggest highlights was Jodie Whittaker’s Doctor Who SDCC debut! The thirteenth Doctor has landed and it’s amazing! The first major event for the Doctor Who SDCC coverage was the press conference, which we had the privilege of attending on Thursday morning prior to the Hall H panel. Here we got a glimpse at the new dynamic between the companions, which are now known as ‘friends,’ as well as insight into how Jodie is tackling this iconic role and what it means to be the first woman Doctor in the franchise. The fun didn’t stop there, though. Doctor Who also had a panel in the infamous Hall H. For those that missed it, the BBC was kind enough to release the entire panel online. Check out Bleeding Cool’s coverage here. It was by far one of the most competitive Hall H panels of the weekend, making Thursday a surprisingly difficult day to get in. Still, more than 6,000 Whovians were able to enjoy the show, and those that weren’t able to see it live can catch up online thanks to the BBC. Jodie’s Doctor Who SDCC tour wasn’t finished, though. She crashed the Her Universe Fashion Show on Friday night. Her Universe is a staple in women’s fashion in geek culture and the annual fashion show at SDCC is known as a place where fashion forward geek women gather to appreciate new designs. Some of these designs have been known to go on to be available at Hot Topic for geek girls everywhere to enjoy. I don’t think it’s a stretch to say that the Thirteenth Doctor’s coat is going to be a must have item for many people. I saw countless cosplayers already donning their own version of the new iconic piece of clothing, and I suspect it’ll be easy to find in stores soon. I live in a tropical environment myself, but that didn’t stop me from buying a Poe Dameron jacket from Hot Topic. Will I add this big heavy coat to my collection when it doesn’t make sense for my environment? Let’s be real… probably. Over all, Jodie Whittaker won Comic Con. Her Doctor Who SDCC debut was a smashing success and I look forward to many years of her being here. Thank you for everything, Jodie. Previous:Free 3×02 & 3×03 Review: A Promise on a Shooting Star! & First Swim in Another Country!